The Hong Kong Stock Exchange (“HKEx”) has circulated a research paper on the Taiwan Dimension of HKEx’s markets which it published in July 2005. The full text of the paper can be viewed in the “Research Centre” section of HKEx’s website at www.hkex.com.hk. The following is intended as a summary only of the contents of the paper. According to HKEx’s paper, Taiwan was the twentieth largest economy in the world in 2004, and the fourth-largest Asian economy, behind Japan, Mainland China and Korea. Taiwan has an active stock market but contributes little to the Hong Kong market, despite close economic relationships and a common language. The paper examines Taiwan’s participation in HKEx’s securities and derivatives markets. From 1995 to 2004, Taiwan experience a high real GDP growth rate of between 3% and 6%, except for a spell of negative growth in 2001 when GDP dipped to –2.2%. In 2004, the annual turnover ratio on the Taiwan stock market was 162 %, the fourth highest in the world, whereas the turnover ratio of the Hong Kong market was 51%, ranking it 24th in the world. 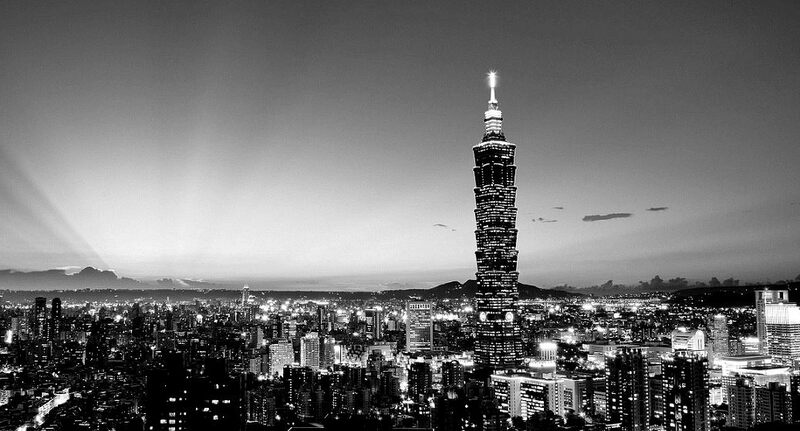 Taiwan also has a successful derivatives market, recording 59 million contracts in 2004 alone. Unlike Singapore, Taiwan invests heavily in other Asian economies, particularly that of Mainland China which received 80% of its outward investment. Stock Market: Taiwan’s contribution to total cash market trading declined from 0.6% in 2001/02 to just 0.2 per cent two years later. Taiwan’s contribution to overseas investor trading showed an even steeper decline, dropping 1 per cent in the same time period. Taiwan’s contribution to the derivatives market from 2000 to 2004 has remained relatively low, with the exception of a steep rise to 1.3 per cent of the total contract volume in 2001/02. In May 2005, Taiwan had a presence in 32 listed companies in Hong Kong, with the majority on the Main Board, but the total turnover value of these stocks for the five months before accounted for only 0.72 per cent of the market total. Exchange Participant dimension: There are 22 Stock Exchange Participants with Taiwanese interests, most of who tend to have small to medium market turnovers. Taiwan’s outward investment in Hong Kong fluctuated quite widely between 1994 and 2004. It reached its height in 2003 at US$641 million, dropping sharply to US$140 the following year. Taiwan’s investment in Mainland China is even larger, peaking in the same year as Hong Kong’s direct investment from Taiwan, but remaining high in 2004. Hong Kong accommodates 14 licensed banks with Taiwanese beneficial ownership, ranking Taiwan first in 2004, followed closely by Mainland China and Japan with 13 and 12 licensed banks respectively. Taiwanese presence among other authorized institutions such as deposit-taking companies has been on the rise since 2002. Although there has been a gentle decline in the percentage of their contribution to turnover value, a large number of securities trading in Taiwan come from retail investors. Taiwanese domestic investors accounted for 48 per cent of the total share ownership in Taiwan-listed stocks and they also make the largest contribution to derivatives trading on TAIFEX (Taiwan Futures Exchange). Taiwan has a low participation in Hong Kong’s stock and derivatives markets, despite the high retail participation rate in Taiwan’s own markets. As the market in China continues to open, it will attract much direct investment from Taiwan, while Hong Kong will remain a less attractive prospect to Taiwanese investors. The above constitutes a summary only of the contents of HKEx’s paper “The Taiwan Dimension of HKEx’s Markets”, the full text of which can be viewed in the “Research Centre” section of HKEx’s website at www.hkex.com.hk.